9 unions rally outside the Board of Supervisors on September 18. Also pictured: Richmond Vice Mayor Melvin Willis leading the chant. 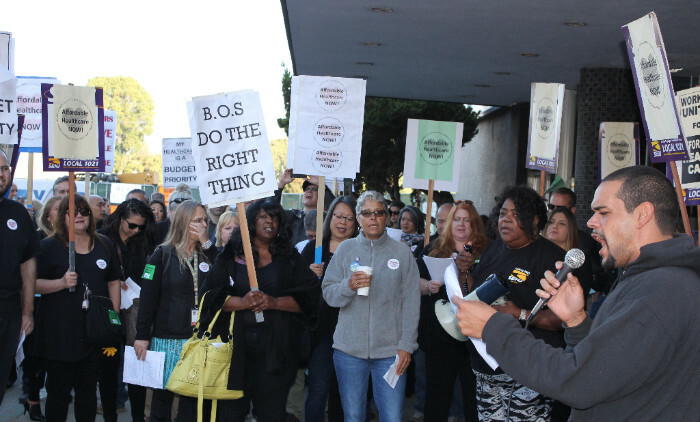 Local 21 and 8 other unions have had three bargaining sessions with the County on healthcare reform after Coalition members forced these negotiations with our escalating acts of solidarity. As reported last week, our efforts are working so far. The County now recognizes that county workers are at a breaking point regarding healthcare costs and has proposed a deal that would provide relief for the 2019 premium increases. Unfortunately, the County is still avoiding a real system fix that will actually bring the County in line with other public employers in the Bay Area for the employee share of healthcare costs. The County continues to try to push a 3-year extension deal that would forgo full contract bargaining until 2022, and that would not bring the County out of last place in healthcare premium costs for employees. While the deal would include cost of living increases, under the County’s plan, those increases would come at the expense of actually addressing the already sky-high healthcare premiums workers pay, as well as any certainty about rates in 2020 and beyond. The Union Healthcare Coalition has been clear in its response: any deal that does not address the fundamental problem of Contra Costa County ranking last in employee healthcare premium costs is unacceptable. We will not trade a one-year band aid in exchange for more of the same. We need REAL CHANGE in Contra Costa County, NOW. Talks resume next week, see below for ways to support your Coalition Bargaining Team. Coalition members are showing their support every Tuesday. 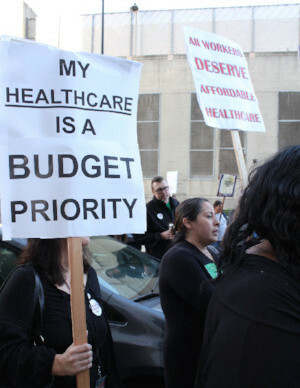 Let's show them how many of us want affordable healthcare in Contra Costa County! 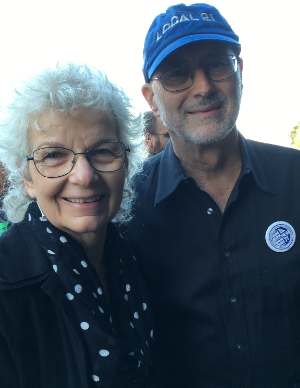 Wear a Healthcare Coalition sticker, button, or your union swag to work. Need a sticker or other swag? Chapter leaders will be getting some soon. Find your chapter leader here. If you haven't signed the Healthcare Coalition Petition, now is the time!